I think I'll always be a little sad not having joined Team Kilt earlier because I think I could have done more for it and all but I am to be here now, I hope I have brought something to this amazing group of people who to me are more than just fans of this books, they're like family. Jeri, your books have meant so much to me, I can't really put in into words, they have changed my life and I'll always love them as well as these characters that have brought me so much happiness life, tears as well but mostly happiness hehe. Beautifully put Jeri. I still marvel at the amazingness that is Team Kilt. Thank you so much for giving me not only the Shade world, but the Twitter world as well. The characters and people I have met because of you are amazing and I wouldn't give them up for anything in the world. You have done more for me and the rest of Team Kilt than you will ever know, and we all love you for it. And we'll prove it 25 years from now at that reunion (and every year and day in between). I know for a fact that I will keep reading your books (I think you're the only author who can get me to look forward to a contemporary novel), and I will never leave Team Kilt (despite my prolonged absences every now and then). Thank you so much Jeri. For everything. Ok, *sniffles* I'm crying. We have alot to thank you for. You created a world where we were able to find each other. Thank you is to small but it all we got so I'm going to capitalise it. I didn't read the novella when you first posted it...probably for some of the same reasons. And your next book, which will always automatically go on my "MUST GET" list. I never thought about how Shattered would help our soldiers or other people who suffer through PTSD. I haven't even posted a review though it affected me so much when I read it. I will review it this weekend. I had never even heard of the YA Crush Tourney until that year when Zachary was up against Jace. I have only just now read TMI and I still think Zach is a much finer choice all around. Still I'm proud to have been part of this group and your fan base and I will forever remember how we all pulled together! Fun times! I'm looking forward to This Side of Salvation and all the other things you write! I'll always be a fan. Ginger: You guys are the ones who should be proud! I'm so happy you've been part of Team Kilt and we got to know each other because of it. Poochylover: OK, now I'm crying. But in a good way. :) You are amazing, and I'm so happy we've had a chance to meet in real life. Claire: Ooh, the heart of your bottoms? I love it! And I love you, too. 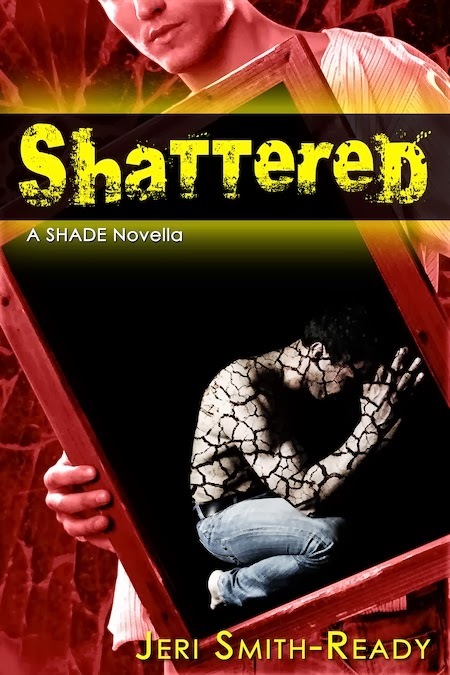 Deborah: Don't be afraid to read "Shattered", lol! At least not for that reason. Its timeline doesn't go beyond SHINE (it's tucked into the middle of it, like "Bridge" was for SHIFT), so it doesn't really feel like the end of the series as much as SHINE does. I hope you like it! Heather: Thank you in advance for reviewing "Shattered"! I hope it can help others. Of course, PTSD manifests differently for everyone, but I worked closely with a trauma counselor while I was writing and editing to make sure it realistically portrayed the way Zachary might experience it. While I wasn't an "original" member of Team Kilt, I will always be grateful for the YA Crush Tournament and Zach's battle against Tod for introducing me to your books. Reading the Shade books, meeting you and being a member of Team Kilt changed my life in so many positive ways, not least of which is the amazing group of people I now consider friends. Thank you for giving us Zach and Logan and Aura and Dylan and everyone else in the Shade world we all love so much.